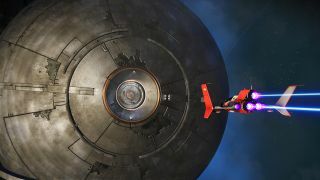 Since the huge NEXT update for No Man’s Sky, players have been flocking back to the expansive space sim to explore new worlds and seek out unknown civilisations. Whilst No Man’s Sky has transformed into the game we were first promised back in 2016 in terms of gameplay and making new discoveries, players are still finding progression difficult early on due to lack of funds. It appears that even in a game where there are endless opportunities for travel and new species of everything you could ever imagine, money still makes the world go ‘round. Changes were made that affected how players could earn money from resources as well as how eye-wateringly expensive some of the vehicles are. So, we’ve compiled this guide on how to get rich quick in No Man’s Sky and help you on your journey to becoming the space oligarch you’ve always dreamed of. Building your reputation is often as easy as exploring the various planets and speaking to individuals and completing missions will easily increase your reputation and therefore your rewards. The Korvax are the most likely to give out cash rewards, whereas the Gek are more likely to reward you with tech. However, having such rare or powerful tech makes it incredibly valuable, which you can obviously trade for Units or use as a bartering tool in vehicle transactions. One of the most reliable ways to earn money in No Man’s Sky is by accepting missions from vendors on space stations. Whilst some rewards are technology or nanite based, the majority of missions will reward you with the in-game currency, Units. As we said previously, improving your reputation with the three races of aliens will give you access to better missions. In the above screen, you can see that the first quest rewards you with a solid 55,563 Units and that the mission that requires level 8 reputation rewards you with 400,706 Units. Freighter missions are also a steadfast way to earn cash in No Man’s Sky. You can accrue a freighter by either buying one, or by simply defending a freighter from hostile ships - after speaking to its captain they will literally hand it over to you for free. You could sell the freighter for cash up front, but we suggest building a Control Room and sourcing more rescuable/purchasable vehicles. Your freighter will have at least one other attached to it that you can send for exploration, industrial or combat missions. After each mission, you collect a reward, which is usually a mixture of Units, components and rare elements or minerals. Obviously, you can sell these items, too, meaning that you have a steady flow of income for your oligarchy. You can also source missions from your freighter, such as collecting 250 Chromatic Metal or delivering goods, which usually reward you with a bunch of Units or rare tech. Amongst the many valuable items No Man’s Sky has to offer, the Humming Eggs and Whispering Eggs offer up some of the most valuable loot. Twitter user Smelly Ferrett brought this method to light earlier this year and it really is one of the quickest, if most deadly, ways to get those sweet Units fast. First, you’ll need to head to an abandoned or unknown building where these beauties are usually found. We suggest parking your ship very close to the site as you might need to make a run for it. If you hover the pointer over them, they’ll be called a Whispering Egg. Don’t shoot at them or even touch them right now, lest you unleash the aptly named Biological Horror upon yourself. You need to build a base computer in order to be able to craft walls. You’ll also need to have around 160-200 Carbon to hand for this, so scout about for it if you don’t have it already. Once you’ve set up your base computer, claimed the area and gathered your Carbon, head over to a cluster of eggs. What you need to do is set up four walls around the cluster, making sure each wall clicks into place. Once you’ve done that, make sure you can jetpack in and out of your makeshift box with ease. You can set up walls around the eggs, maybe leaving a few eggs spare for the next part. If you have a good enough weapon and are confident with the combat, you might want to build the odd roof on your little boxes so that you can fight off a few Horrors, but that’s up to you. Next, fire at one of the Whispering Eggs outside of your box. The Biological Horrors outside of any box you’ve built will spring to action and run at you. Quickly jetpack back into your box and fire your mining laser at the eggs inside. Once destroyed, the majority will produce a Larval Core, which is a white orb with black dots. These orbs can disappear quite quickly, so act fast to gather them up. Defeat any Horrors that are waiting for you outside of your box or sprint back to your ship for safety. If you do decide to run - we did - fly around the area for a few moments before landing in the same place again. You’ll know if you need to give it a bit more time if the Horrors are still scuttling around. Once you’ve collected your egg, open your inventory. You’ll see that each egg is worth a whopping 123,500 units each, so chancing your life to mine a dozen or so eggs is definitely worth it. The other eggs you encounter, Humming Eggs, are much less dangerous and when fired upon will release an Albumen Pearl, worth 45,125 Units, so it’s still worthwhile harvesting these whenever you find them, usually in toxic areas. Did we mention it was safer than tackling the Biological Horrors? Beyond the various elements and minerals available, technology is the other big factor in the game. From repairing damaged machinery to upgrading your spaceship, technology is at the heart of No Man’s Sky. As such, some items are much more valuable and rarer than others, so you need to weigh up whether you want to sell some of them to acquire a new ship or an even better item only attainable through vendors. Salvaged technology, for example, will fetch you 51,078 Units per item and a single Mind Control Device can be sold for 75,302 Units. Single-use items, like the Mind Control Device, often fetch a good price if you don’t plan on using them on your frigate voyages, and missions that focus around salvaging or delivering technology and goods also pay handsomely. It would be worthwhile upgrading your multitool scanner and analysis visor to the next best available as this will lead to greater and faster discoveries of valuable tech and items on each planet. Minerals and elements and creatures, oh my! Creepy eggs aside, collecting minerals and elements in No Man’s Sky can also come with big rewards. The element Herox, for example, will get you 24,695 Units a pop and NipNip Buds will sell for 17,696 Units a bud. Scanning the local flora, fauna and wildlife will also earn you Units as you explore planets, with extra bonuses starting from a cool 250,000 Units for scanning all the animals on a planet, which, if you are like me, you’re doing so you can name them something cat related. Shooting at the asteroids surrounding planets - and there are loads of them - will gift you with either Gold, Silver or Tritium, with the latter being used to fuel the fusion reactor on your starship. Gold and Silver are useful for building things on your freighter or, like literally anything else, can be sold for profit. Keep your eye out for mines, particularly Copper and Cobalt, which are a valuable commodity and useful tool, one of which is the favourite food of many of the creatures on the planet’s surface. Vortex Cubes, commonly found in caves, are another good source of income, fetching around 25,000 Units each. If you encounter the space anomaly and inevitably encounter Polo the Gek, you’ll find that he has a bunch of research tasks he wants you to carry out. His rewards are great, often spaceship, multitool or exosuit upgrades, but he can also foot cash rewards if you’ve already got the best of gear. Buying and selling starships and frigates is another way of spending money to earn money. Taking the time to repair a spaceship and sell it on is a bit of a time sink but a worthwhile investment, particularly when traders will visit your freighter and hanger of bizarre and reasonably priced (space) cars. All the ways we’ve recommended to earn money in No Man’s Sky have so far been wholesome and good, so now it’s time for something completely different. Destroying hostile ships and targeting cargo freighters is another sure-fire way to make money. The loot drop with the freighters can be a bit random and you might attract the attention of the Sentinels and spend the next 40 minutes being chased through space until you encounter a trading post in which to hide. So, those are our top tips to get rich quick. If you have any more suggestions, drop us a line in the comments. Now, pump those numbers! Looking for more? Then check out the most amazing No Man's Sky planets and aliens found in the Next Update so far.